It has been more than two months since Fox News retracted its story about the death of Democratic National Committee staffer Seth Rich, and the network still claims to be investigating what happened, leaving its employees perplexed and wondering why there has been no explanation and no action taken to put the issue to rest. "People are talking about it," a Fox News employee told CNN. "Frankly, there's confusion over it." 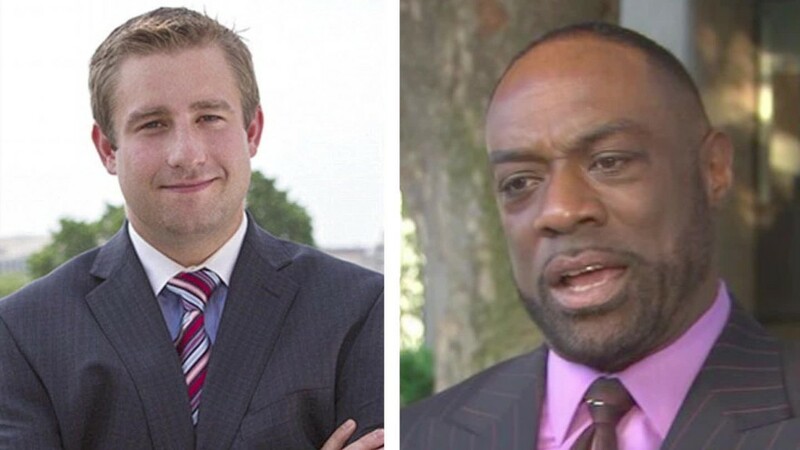 More than two months ago, on May 23, FoxNews.com deleted a story that suggested Rich had been in contact with Wikileaks before his death. The story rested on quotes from Rod Wheeler, a Fox News contributor and former homicide detective hired to investigate the unsolved murder on behalf of the Rich family. He was quoted in that article saying there was evidence showing Rich had been in contact with Wikileaks. The story was immediately seized on by President Trump's media allies, who treated it as an explosive scoop and used it to cast doubt on the US intelligence community's determination that Russia-backed hackers stole the internal DNC emails published by Wikileaks. For a little while, the story was everywhere in the pro-Trump media universe -- including two of Fox News' biggest shows, "Fox & Friends" and "Hannity." But the article upon which all this coverage was based fell apart within hours of its publication, when Wheeler contradicted aspects of it in an interview with CNN. In a lawsuit filed Tuesday, Wheeler said the Fox News reporter who wrote the article, Malia Zimmerman, who did not respond to requests for comment, fabricated the quotes she attributed to him -- a major violation of the most basic journalism principles, if true. A person with knowledge of the situation told CNN that employees have been left puzzled as to why no one has been held accountable for one of Fox News' most high-profile mistakes. "No one knows," the person said. "This is like a huge question mark internally. This is a giant mystery." When the story was deleted in May, a statement was left in its place that said the network would "continue to investigate" the situation and "provide updates as warranted." More than two months have gone by, but no updates have been made available. After Wheeler's lawsuit was filed on Tuesday, Jay Wallace, Fox News' president of news, said the network's probe was still ongoing. "The retraction of this story is still being investigated internally and we have no evidence that Rod Wheeler was misquoted by Zimmerman," Wallace said in his Tuesday statement. It's not clear why the investigation has taken so long. Presumably, Fox News has access to all the individuals involved. Wheeler is a Fox News contributor and Zimmerman a reporter. Asked about the current status of the internal probe, a Fox News spokesperson told CNN on Wednesday that the network had "retained outside counsel on the matter" and that "given that this is pending litigation, there will be no further comment." But even as a major article she wrote has been the subject of an internal investigation, Zimmerman has continued to write stories for FoxNews.com. She published five stories in June, four in July, and one on Tuesday, the day the lawsuit accusing her of fabricating quotes was filed. Moreover, the site has apparently not shied away from promoting her work. Her July 18 story on Hillary Clinton's policy toward Russia, for instance, received top billing on the Fox News homepage. According to half a dozen people spread throughout Fox News who spoke with CNN, all this has left employees at the network wondering what is going on with the investigation -- and why there has not been an announcement either of disciplinary action or a finding that there was no wrongdoing. "People need to start getting canned over the [Seth Rich] thing," an employee told CNN. "What a mess." "They don't want to acknowledge that they f**ked up," a senior Fox News employee said, explaining that either a top editor didn't see the story before publication, as would be typical procedure, or a top editor saw the article and approved it. "Both situations are really bad." The sources who spoke with CNN said they felt that the significant misstep on the Rich story continues to haunt the network, and to put a cloud over their own work. And the lawsuit filed Tuesday, full of its stunning allegations, has breathed new life into the controversy. "If it's true, it's really messed up," one on-air personality told CNN of the allegations in the lawsuit. "It stirs up the same embarrassment as when the story first got peddled," added another on-air personality. "It makes people doubt Fox." That said, employees recognize the secretive nature that has characterized the probe into the Rich story, and lack of disciplinary action, seems to fit into the normal operating procedures for Fox News. "I think the lack of transparency is not that surprising," the senior Fox News employee said. "But it really forces the question, how much journalistic integrity does Fox News really have? Because most other news outlets, these situations come up, but they are dealt with appropriately. People are held accountable. People are fired, they are disciplined or whatever. But this is like classic Fox. No one ever gets fired from Fox for publishing a story that isn't true."